Today's piece of N8 coverage is new pictures of the Orange-coloured variant. It looks nice, but is a bit too bright for my liking. 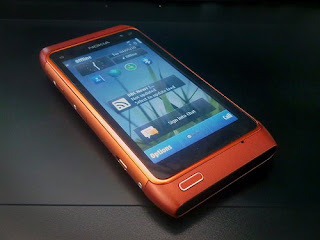 Looks like the top and bottom of the N8 are made of plastic to improve electromagnetic wave penetration. Notice the writing on the back? 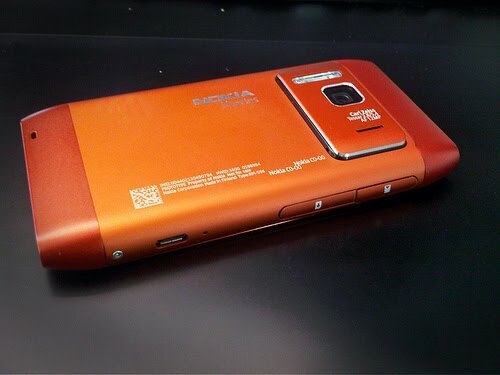 I doubt it will be there on the final production models, but it'd be nice if Nokia listed some of the N8's more notable specifications here, like they did with the N97 and N900. Pictures courtesy of Jhericurls. Thanks!